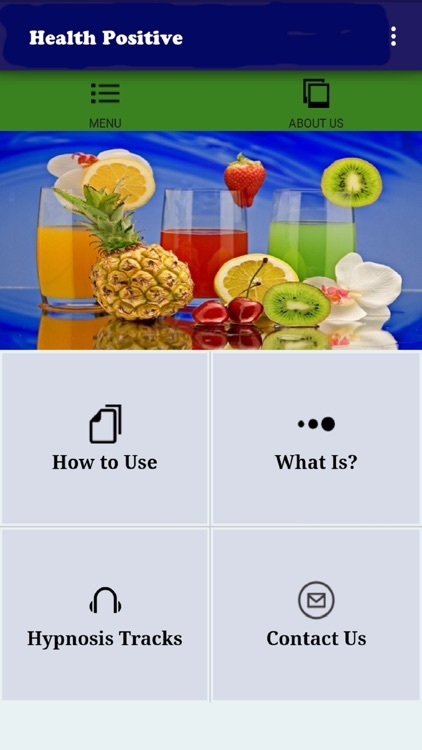 What is in Health Positive's App? 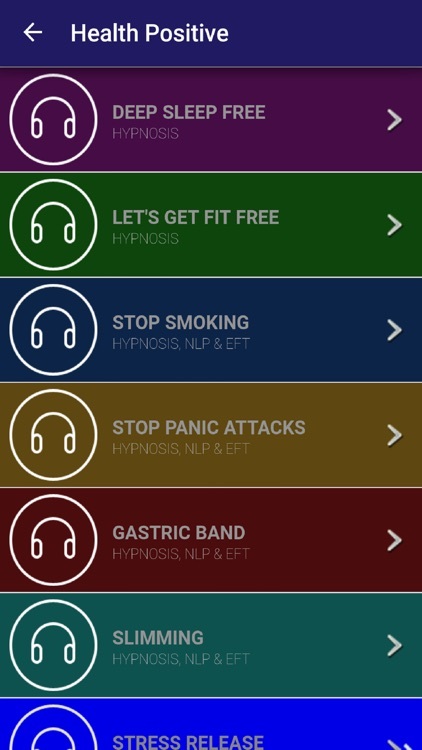 Due to the great success of Slim Positive's App with Virtual Gastric Band Hypnosis*, 5 Minute Gastric Band with NLP and EFT, I have now launched the Health Positive App which offers tracks to cover Health, Stress, Fears and Lifestyle changes. 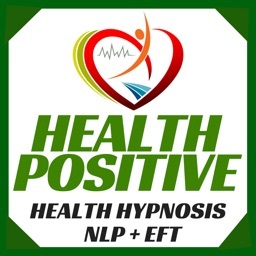 Creating Positive Mindset with Money/Career Confidence, NLP & EFT. 3 Powerful Techniques of Hypnosis, Neuro-Linguistic Programming (NLP) and Emotional Freedom Techniques (EFT/Tapping). Facebook Group Support for Virtual Gastric Band, tips & motivation (Closed Group so friends will not see your posts) and E-mail Support for the other tracks. You can also message me anytime. E-mail Support (e-mail me anytime for help, tips, or advice). I will respond as soon as possible but I have been known to take a nightshift or two to answer e-mails! 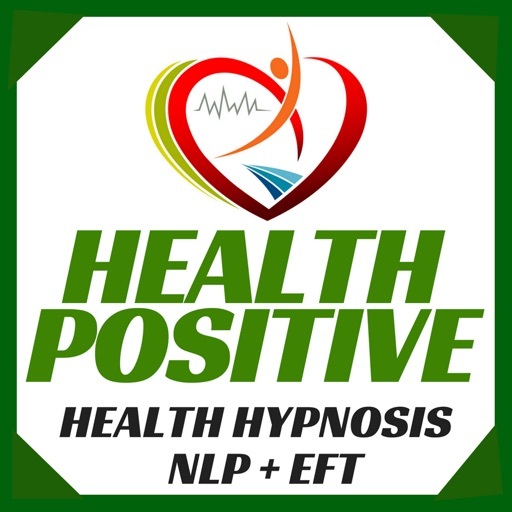 By listening to the hypnosis sessions (even when sleeping), Health Positive's Tracks will help improve your overall well-being and help you to achieve your goals, live your life to the fullest or have peace of mind in life. 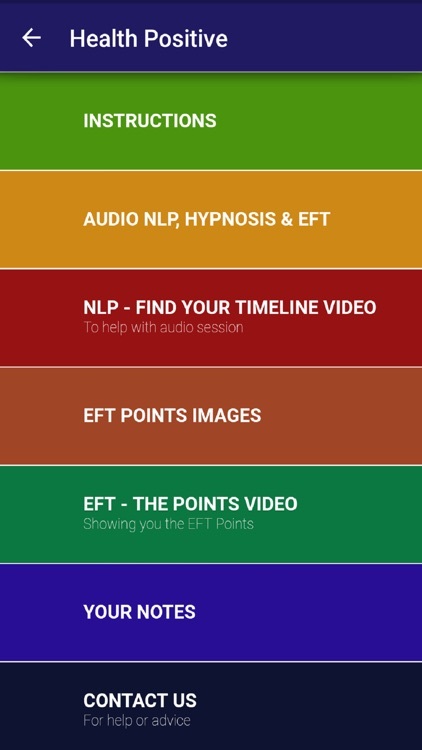 I also offer within the in-app purchases, practical sessions of Neuro-linguistic Programming (NLP) and Emotional Freedom Technique (EFT/Tapping) Audios or Videos, which are very powerful techniques. The NLP Sessions can be for going back into the past and releasing any negative events/thoughts and into the future to create a better life. The EFT/Tapping Sessions are to directly change your conscious thinking and also your sub-conscious thinking at the same time. These techniques are not as well-known as hypnosis but can be stronger when practiced as they correct the issue directly with the conscious and sub-conscious mind. So practice these techniques and you will have full control of your situation. These techniques can be varied and I am very open to requests for particular situations to be recorded. You can also change these techniques yourself with your imagination and change the words to suit your own situation. 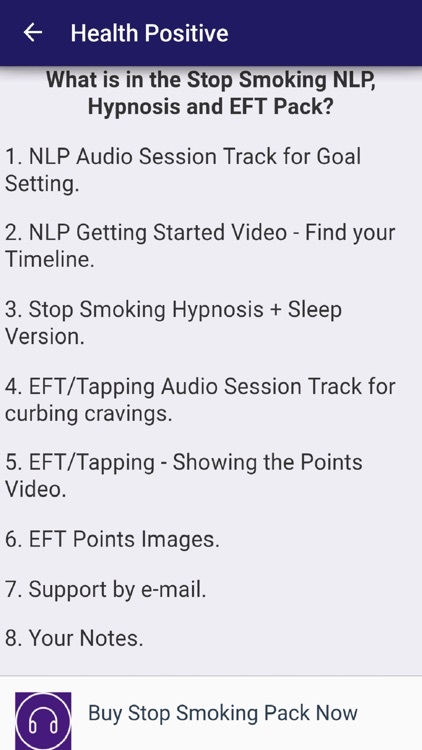 These 3 super techniques of Hypnosis, NLP and EFT will help you to achieve your goals and live a more comfortable life. 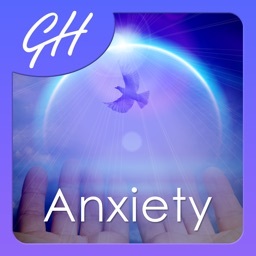 Helping you to change your life forever with Health Positive's App now! Looking forward to hearing from you either from the Facebook Support Groups or via e-mail. 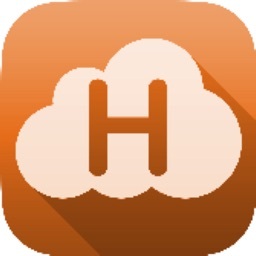 App Health Positive - Free and paid tracks as above. 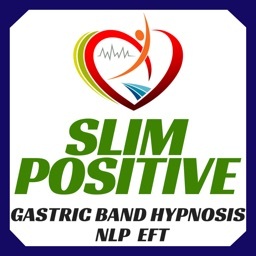 App Slim Positive Paid - 5 Slimming tracks/Gastric Band + sleep version, NLP and EFT sessions. 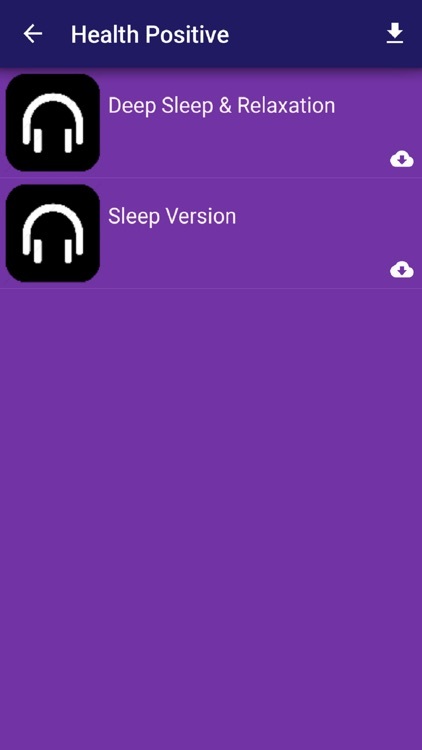 App Fit Positive - Free Fitness workouts and hypnosis tracks as above. *Please note that hypnosis sessions cannot be listened to whilst you are driving, operating machinery or if you have Epilepsy. Please visit your doctor for any medical conditions before using these tracks. 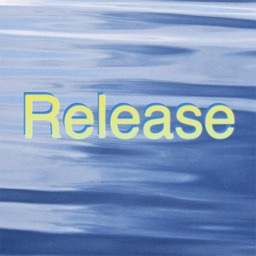 These tracks are to complement your health but are not a diagnostic tool.